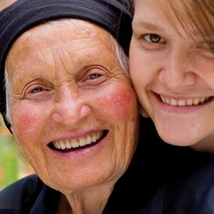 State Trustees is the premier partner for the Victorian Seniors Festival. This year’s festival theme is Taking Good Care of Yourself. To help encourage Victorians to take good care of themselves and their loved ones, State Trustees is offering 20% off Will appointments (conditions apply) and as an added festival celebration bonus, book a Will by 30 November and attend your appointment before the end of January 2015 to be in the running for a $3000 South Pacific Cruise. What are you waiting for? Take good care of yourself and book now, (03) 9667 6444 (terms and conditions apply).